Will see How to install Docker EE in RHEL7 in this post. We have other steps as well on our blog to install the Docker in Linux. It’s a container virtualization technology and more efficient in the deploy an application. We have two option to install the Docker EE in RedHat Linux. Yum Repository: Create/ Enable YUM Repository and install using that. this is the recommended one to install/ upgrade a package in Linux. RPM: We have to download and install manually. This will be useful to install when the system doesn’t have internet access. RHEL 7.1 or Higher Operating System. Browse “https://store.docker.com/my-content” and login. You should at least registered for the trail. Once logged in, Click “Setup” to get the URL to enable the repository. Copy the URL from “Copy and paste this URL to download your Edition:” and save it for later use. You will use this URL to create the variable called “DOCKERURL“. Use the below command to remove existing docker repo. Save the copied URL in the environmental variable(DOCKERURL). 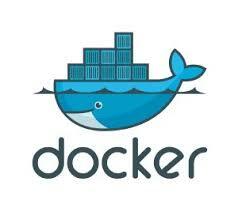 Replace with URL where “<DOCKER-URL>” is mentioned in below command. Now will enable extras RHEL repository and This will ensure the access to container-selinux which is package required by “Docker-EE” and the below command will be used in all Architecture except IBM Power Systems. Add the Docker EE repository using below command. [root@localhost ~]# yum-config-manager --add-repo "$DOCKERURL/rhel/docker-ee.repo"
Now using the docker repository will install the Docker-EE by executing below command. Now again try to install the docker-ee using yum. Start the docker using systemctl. Now we completed docker-ee installation. To verify Docker-EE installed correctly, use the hello-world image. This will download a test image and run it in a container. Will give you the information. So, Finally we completed the Docker installation.